First Samuel introduces the monarchy of Israel, and 2 Samuel chronicles the establishment of the Davidic dynasty Israel’s expansion. 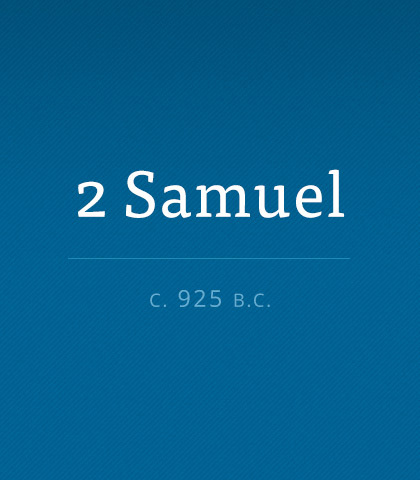 Read more about the book of Second Samuel. Family feuds, wayward kids, parent-child clashes, husband-wife disagreements, and other in-house pressures have a way of breaking our spirits and stealing our joy. And no one is immune who compromises with God’s standard—not even a king such as David. In this study we witness the monarch’s misery as the sword of consequences falls on him and his family. Even though it’s difficult, even though the person being confronted may not respond as we hope, and even though we may be misunderstood, we must, nevertheless, do the right thing—in the right way”at the right time.